Nuclear weapons are likely to play a more significant role in an increasingly multipolar global system, and technological advances will enable new forms of chemical and biological weapons. The proliferation and use of these weapons could be harder to prevent. To discuss the impact of technological change and the evolving geopolitical environment on the future of weapons of mass destruction, this Biodefense Policy seminar will feature John P. Caves, Jr., and Dr. W. Seth Carus of the Center for the Study of Weapons of Mass Destruction at National Defense University. 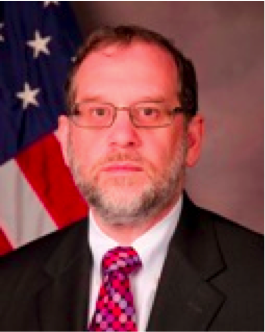 John P. Caves, Jr., is the Deputy Director of the Center for the Study of Weapons of Mass Destruction and a Distinguished Research Fellow at the National Defense University. He joined the Center in 2003, where nuclear and chemical weapons matters have been the principal focus of his work. Prior to joining the Center, Mr. Caves served as the Deputy Director for Counterproliferation Policy in the Office of the Secretary of Defense (OSD). From 1997 to 1999, he was the Country Director for Turkey, Spain, and Cyprus in the Office of European Policy, OSD. From 1986 to 1997, he served in a variety of positions within the Defense Security Assistance Agency and in the Office of the Defense Adviser, U.S. Mission to the North Atlantic Treaty Organization. Dr. W. Seth Carus is a Distinguished Research Fellow in the Center for the Study of Weapons of Mass Destruction at NDU. His research focuses on issues related to biological warfare, including threat assessment, biodefense, and the role of the Department of Defense in responding to biological agent use. From 2001 to 2003, Dr. Carus was detailed to the Office of the Vice President, where he was the Senior Advisor to the Vice President for Biodefense. Before assuming that position, he was on the staff of the National Preparedness Review commissioned to recommend changes in homeland security organization and support the Office of Homeland Security while it was being established. 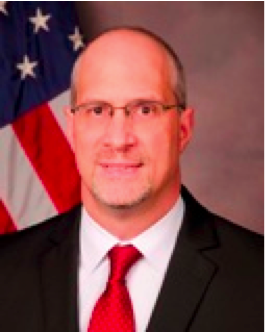 Prior to joining NDU, Dr. Carus was a research analyst at the Center for Naval Analyses, a member of the Policy Planning Staff in OSD Policy, and a research fellow at the Washington Institute for Near East Policy. The Biodefense Policy Seminars are monthly talks focused on biodefense and biosecurity broadly conceived. Free and open to the public they feature leading figures within the academic, security, industry, and policy fields.